INTU is offering festive shoppers a gift-wrapping service in its North East shopping centres this Christmas, with proceeds going to regional charities The Children’s Foundation and Marie Curie. 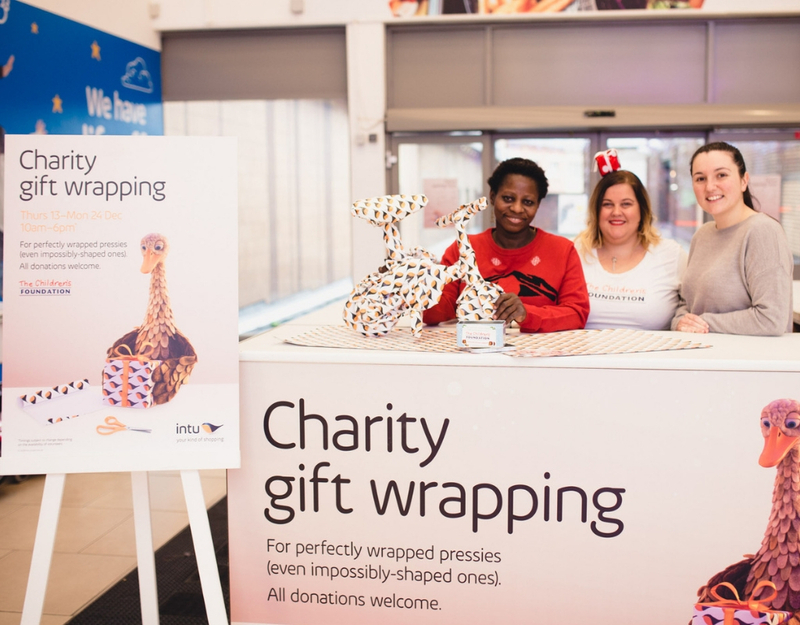 At intu Eldon Square located next to Fenwick, busy gift seekers can visit the wrapping stand and have their presents beautifully wrapped by volunteers, in return for a donation to The Children’s Foundation, that aims to improve the lives of children in the North East. Laura McVeigh, regional community and events fundraiser at The Children’s Foundation, said: “We are delighted intu Eldon Square has given The Children’s Foundation the opportunity to raise money again this year and would urge people to come visit us at the stand and take the stress out of their Christmas shopping, by letting our team of volunteers wrap all their presents. intu Metrocentre is also hosting a gift wrapping service with all proceeds going to Marie Curie, which provides care through terminal illness. Located in Upper Town Square, near Oasis, presents in all shapes and sizes can be handed over to volunteers from the charity in return for a donation. This year will be the 19th year that Marie Curie has run its gift wrapping service in intu Metrocentre with £4,930 donated by generous shoppers in 2017, and over £50,000 to date.